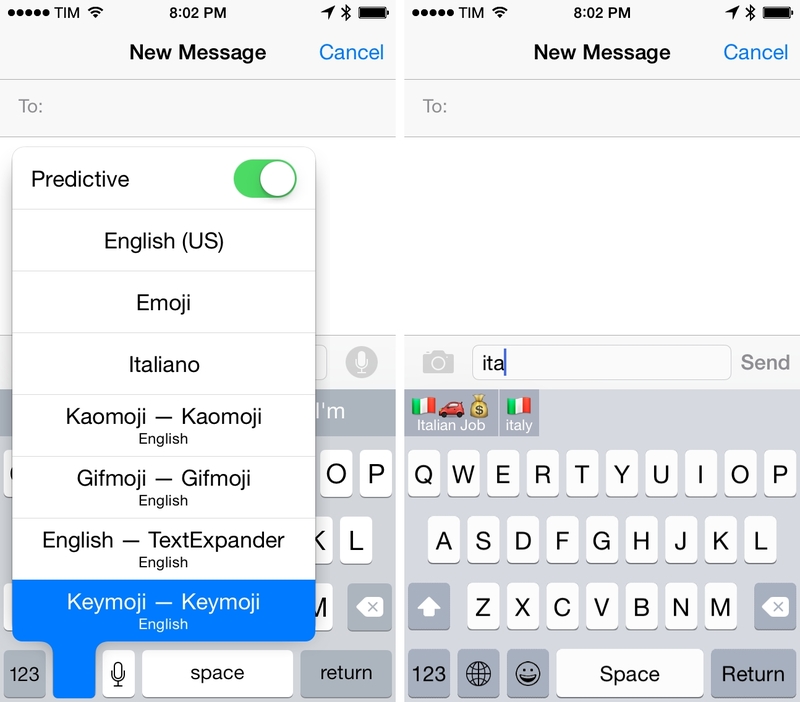 You’re probably trying several iOS 8 custom keyboards today. Since yesterday’s launch of iOS 8, custom keyboards have proven to be one of the most popular new features with high rankings in the Top Charts and SwiftKey reporting over 1 million downloads in less than 24 hours. 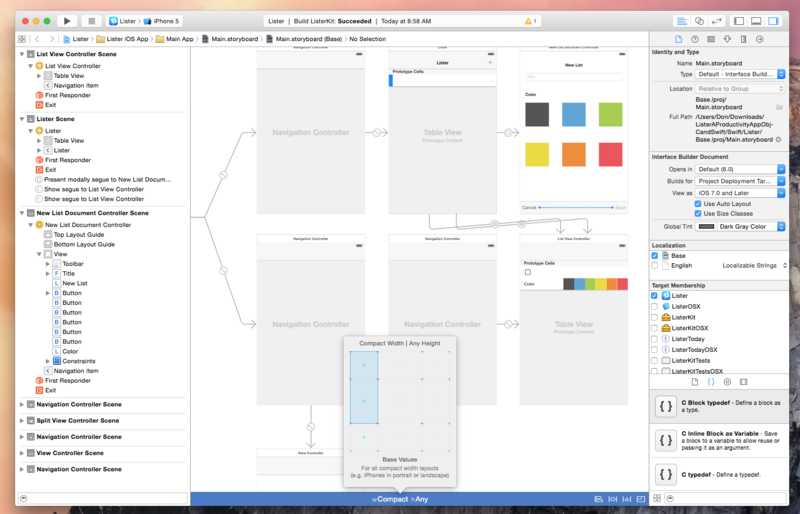 Xcode is the development environment that Apple supplies to the community for creating Mac and iOS apps. Those familiar with the tool will likely agree that working with previous versions have been nothing short of a love/hate relationship. After any update, Xcode’s quirks and crashes are never far behind, however it is one utility that Mac and iOS developers simply could not live without. Xcode 6 brings exciting new features and enhancements including support for an entirely new programming language, improved view debugging, live view rendering, extensions, playgrounds, and more. In the school where I teach, we are now into our fifth school year using iPad in the classroom. We have students from 5-18 using the device and using it very differently according to their age and educational needs. We have found it to be a substantial addition to the life and work of our school and a major enhancement to the educational process. 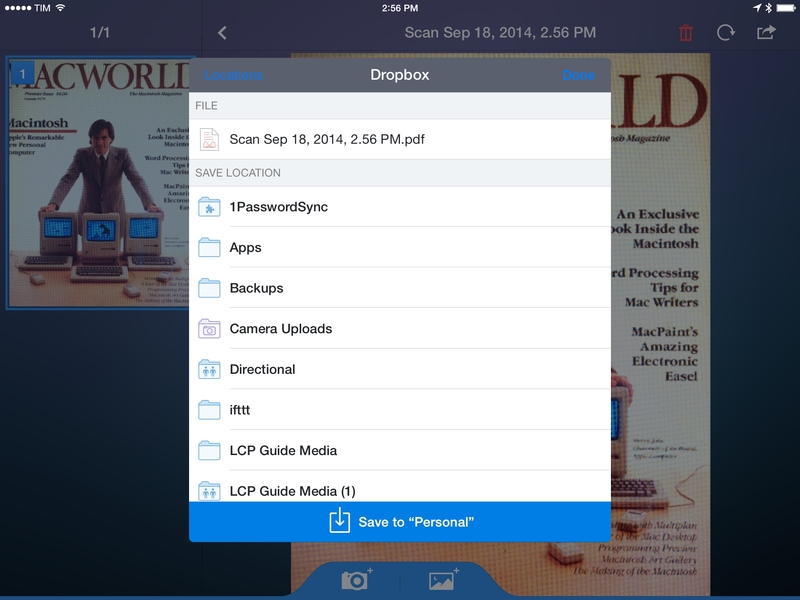 Unlike many schools, we don’t focus on “delivering content” with the iPad. We don’t use electronic textbooks and we don’t buy a lot of curriculum materials in the form of apps. Instead, we view the iPad as a tool for creativity in the classroom. We think of apps not as replacements for books but as a new kind of pen, pencil, ruler, paintbrush, camera, music studio, art material, scientific log book, homework diary, writing pad and movie editing suite. We have used every version of iOS since iOS 3.2 on the original iPad. Many releases have brought substantial improvements in our daily use of the iPad – for example multitasking in iOS 4 or AirPlay Mirroring in iOS 5 on the iPad 2. I think we are on course for the most substantial change to iOS since it shipped on the iPad this year. iOS 8 brings many deep changes and improvements to the platform that we know and love to use in our school. I want to highlight a few of them, but it’s important to remember that sometimes the biggest wins are in the fixes to the small daily annoyances. 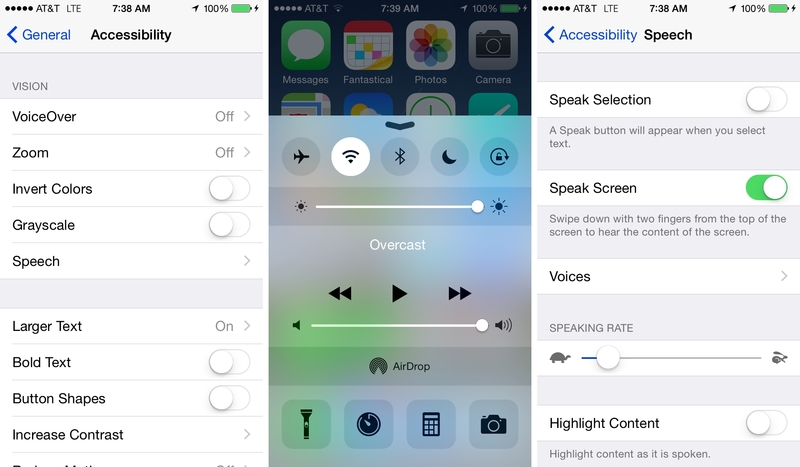 Soon after WWDC ended in June, I wrote a piece for MacStories in which I briefly summarized all the new features Apple added to Accessibility in iOS 8. Since then, I’ve spent a lot of time with the iOS 8 beta builds over the summer, and have found several features and little touches – even some things that aren’t specific to Accessibility – that merit a more detailed look. What follows are my personal impressions of such. In yesterday’s coverage of iOS 8 for my daily workflow and Transmit, I mentioned that I hadn’t had much time to test document pickers and provider extensions in iOS 8 and that I couldn’t grasp the full potential of Apple’s document management changes in practice. 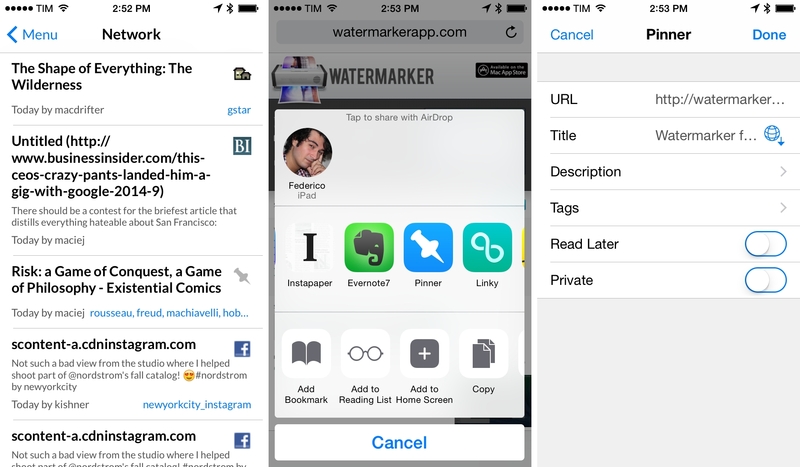 While that still holds true today, I’ve been playing around with the iOS 8 update that Dropbox launched yesterday and I thought it’d be useful to collect my thoughts on the site for future reference. Screens, developed by Canadian indie studio Edovia, has long been my favorite VNC client for iOS, and over the past two years I’ve been using the app more intensively as I need fast and intuitive access to a Mac mini server I keep at Macminicolo. Last year, we covered Screens’ major update for iOS 7 and, earlier this year, I pointed out how the addition of trackpad mode made the app significantly easier to interact with on the iPad. 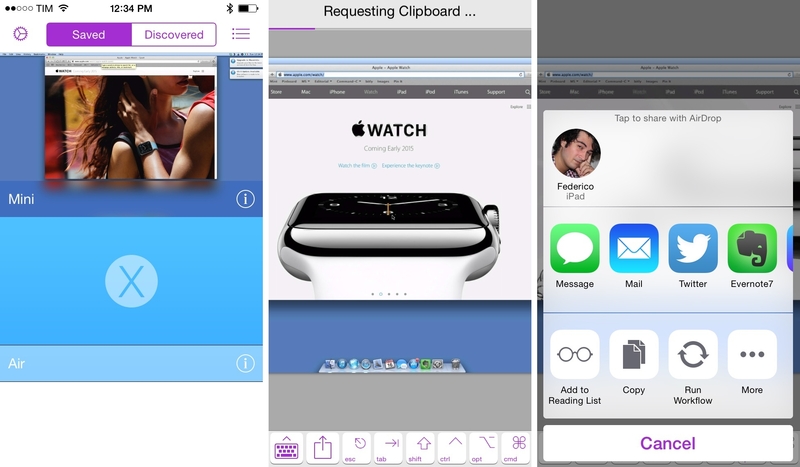 Today’s Screens 3.5 builds upon the redesign launched in September 2013 and adds several iOS 8-only features that make Screens more integrated with iOS and third-party apps. Before iOS 8, I used to keep a Launch Center Pro action with shortcuts for driving directions to my favorite places. 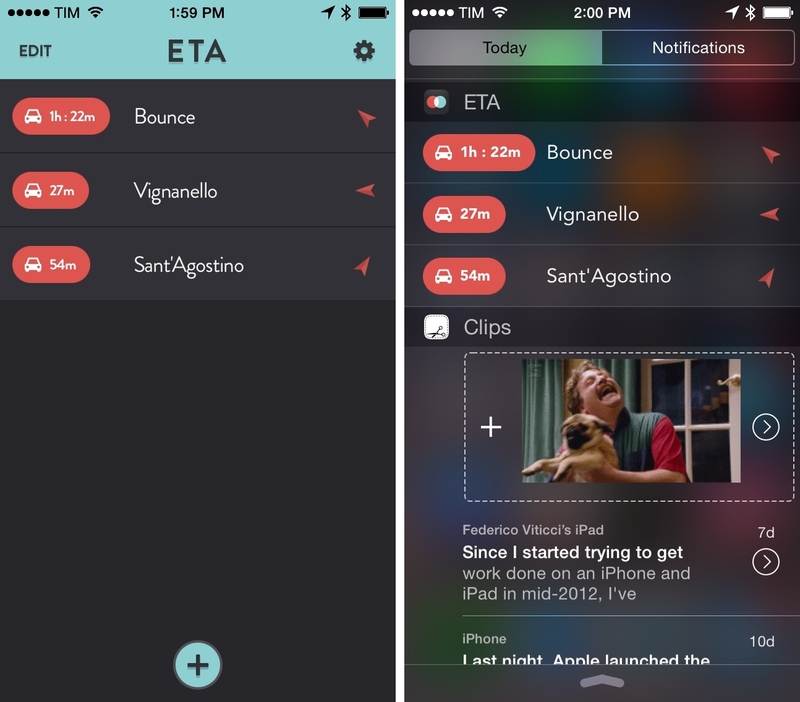 ETA, developed by Australian studio Eastwood, puts travel times directly in Notification Center and is quickly becoming one of my most used widgets in iOS 8. Earlier today, I shared my thoughts on custom keyboards in iOS 8 and how I’ve struggled to use a custom keyboard as my primary input method on the iPhone and iPad. All these limitations can be easily overcome by setting preferences in each custom keyboard and accepting the fact that iOS will often default to the system keyboard due to privacy concerns. And that is absolutely fine: I appreciate the secure model that Apple built to protect customer data as much possible and I like that Internet access needs to be granted manually to custom keyboards. But from a user’s perspective, this lack of deep system integration, little trade-offs, and increased friction add up over time when trying to use a general-purpose custom keyboard as your only keyboard. At least in my experience, I’ve found it easier to switch to simpler custom keyboards when I needed them rather than keyboards meant to be used all the time. In addition to the limitations I mentioned in my article, custom keyboards have taken a while to get used to for two main reasons: performance and novelty.